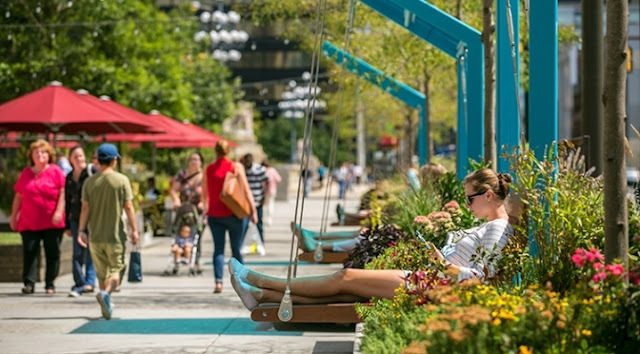 Urban agriculture is hot and happening. Underlined by the opening today of 'De Schilde', Europe’s largest urban rooftop farm. This unique farm stands at 40 meters high, and will grow 50 tons of local rooftop vegetables and 20 tons fresh fish all year round. Taking urban agriculture to a new level. Urban agriculture, urban farming or community gardening is the practice of cultivating, processing, and distributing food in or around a city. The idea of supplemental food production beyond rural farming operations and distant imports is not new. In Europe for example there have been associations of allotment gardens since the 19th century. People - mostly without an own garden - hired (and still hire) their own piece of land somewhere in the city where they can cultivate vegetables. Others grow their herbs and tomatoes on their balcony. 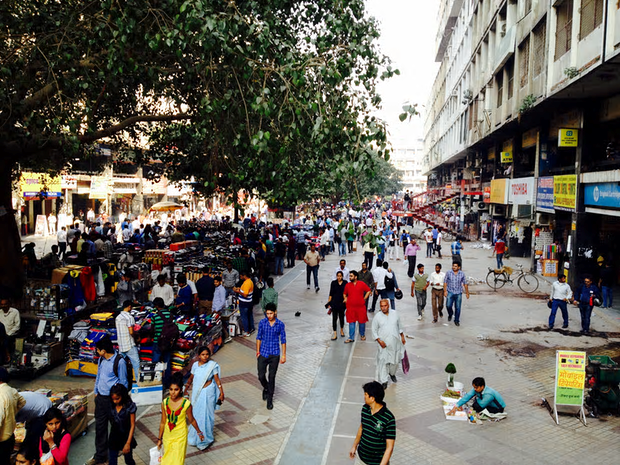 Mostly these are individual or community initiatives on a small scale. This is changing. In recent years large and commercial urban farms are multiplying. As a result of the possibilities of modern technology, vacant buildings in cities, the need for sustainable urban development and the desire to reduce our ecological footprint. This had led to many new initiatives in for example New York, Hong Kong, London, Copenhagen, Rotterdam and Ghent. Most of the time these initiatives are outside on for example rooftops, but also more and more inside buildings ('vertical farming'), where you can control the weather conditions. Shorting the food chains: the food grows at the point of consumption, lowering the costs of packaging, storage and transport (and the associated fossil-fuel use and greenhouse-gas emissions). Quality: proximity also means greater nutritional value, because there is no need to pick fruits or vegetables before they’re ripe. Efficient: inside buildings you can produce crops year-round (and they aren't destroyed by floods or droughts). Land use: by going vertical and using rooftops or abandoned buildings/lands the land use is intensified. Clean air: the plants absorb carbon dioxide produced by automobile emissions and give off oxygen in return. Education: people can see and learn how their food is produced. CityFarm for example uses ‘aeroponic agriculture’ (Tuhus-Dubrow, 2014a). As opposed to conventional soil-based crops the roots of aeroponically grown crops just hang in the air below the plants. They don’t need soil because they are periodically misted with water that contains carefully doled out minerals and nutrients. This method is most suitable for leafy greens and other relatively light fruits and vegetables. It is 70% to 90% more water-efficient than conventional farming and the plants grow significantly faster. See also this TedTalk. Artists Britta Riley (TedTalk) and Rebecca Bray take urban agriculture to a whole new level with their project Window Farms (Lewis, 2009). Their idea is to grow vegetables in vertical farms using the existing light in a window and the method of 'hydroponics': the roots of the crops sit in a root ball with all the water and nutrients that the plant needs. You get bigger plants because they don't need to find their resources in the soil. All the energy goes to the growing process. An interesting method for apartment-dwellers because you don't need horizontal space like you do with dirt-based growing. At RotterZwam in the Netherlands they use coffee grounds as a solid ground for growing mushrooms. They do it their self on a large scale in an abandoned indoor swimming pool. Using the coffee waste of companies nearby and producing sixty kilos a week for nearly forty local restaurants and two local supermarkets. There is also a growkit so you can do it yourself at home. In line with these developments today 'UrbanFarmers AG' officially opened the largest urban rooftop farm of Europe in the city of The Hague (The Netherlands), called 'De Schilde'. Covering a 1.200 square meters (12.916 sqft) rooftop greenhouse for specialty vegetables, a 370 square meters (3.982 sqft) indoor fish farm, and a reception area dedicated for tours and events. 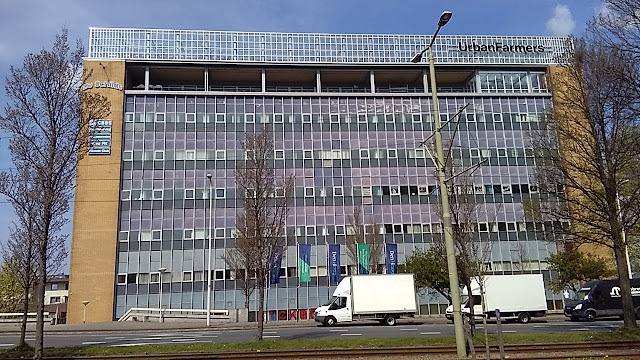 The building, a former Philips TV and phone set factory building, was constructed in the 1950’s by the modernist architect Dirk Roosenburg, grandfather of famous architect Rem Koolhaas. 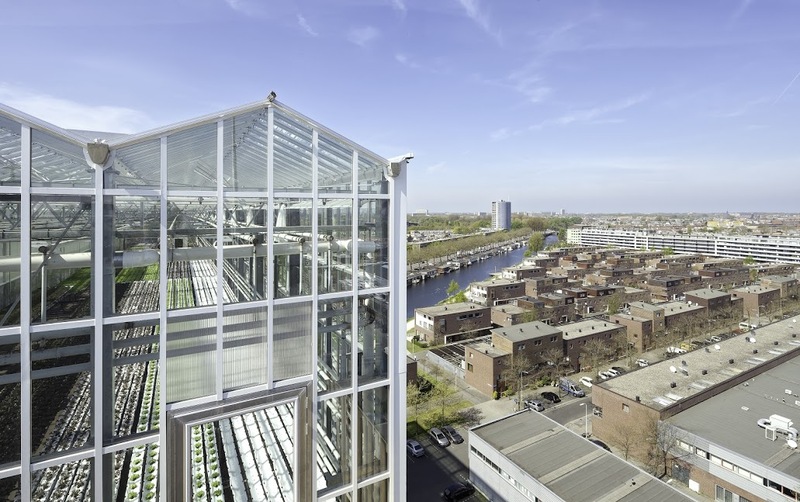 It stands between the city center of the Hague and the neighboring Westland; the Dutch horticultural cluster and ‘Silicon Valley’ for plant growing and green innovation. The revolutionary farm will produce both vegetables and fish using 'aquaponics', an ancient and sustainable farming technique. It combines vegetable and fish production: wasted nutrients from fish farming will be recycled as fertilizer for plants, and plants can purify the water that will be reused for fish farming (see for more information the UF Rooftop farm brochure). The goal is to maximize resource efficiency. 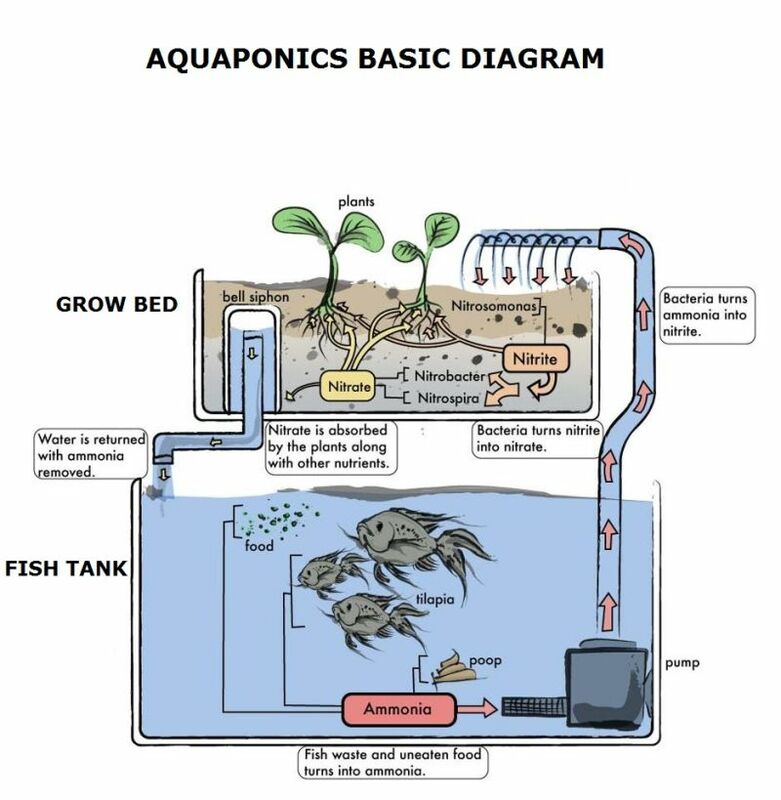 Aquaponics can save up to 90% water usage comparing to separate systems. No pesticide, no herbicide and no antibiotics are used. And by using the best tech they are optimizing fish living standard for higher animal welfare. The goal is to produce 500 tilapia fish a week (20 tons a year) and 50 tons of vegetables a year, mostly salad and tomatoes. People can taste the production at various local restaurants and people can order the 'UrbanFarmers Fresh Weekly Basket'. So, the products will travel less than 5 kilometers. 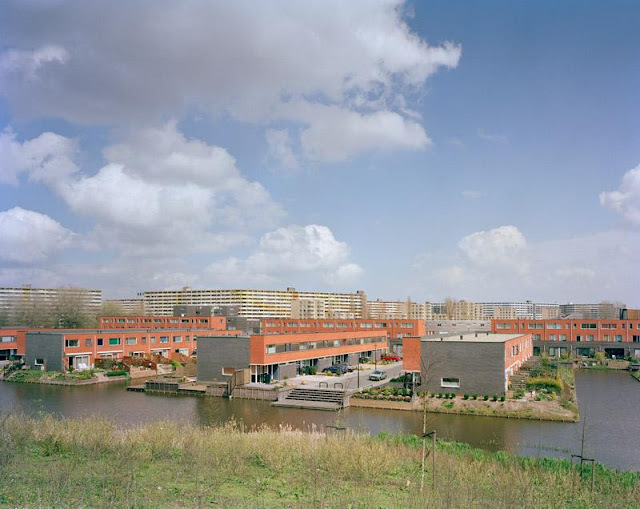 It all began in the fall of 2012, when the Municipality of The Hague launched an urban agriculture initiative called ‘Stadslandbouw’ to identify potential urban farming tenants for the building's vacancies. Seventy innovative initiatives signed up. In the selection process that followed, UrbanFarmers was awarded the rooftop space and also an area in the 6th floor for operations, showroom and guest hospitality as well as other amenities. The construction took 6 months with a total investment of € 2,7 million. De Schilde is the first-mover of a series of new tenants re-purposing the building into a multi-story urban farming hotspot. UrbanFarmers AG is a Swiss based technology company specialized in building commercial food production units in cities. They have listened their core believes in the Fresh.Revolution Manifesto. On their website they write: “We must change how food is grown, delivered, and consumed [...] Instead of having farmers far away produce your veggies for the night and fly in frozen fish from abroad, we believe it’s more convenient, healthier, fresher and sustainable to grow and breed food where it’s eaten: nearby where people live, in cities. We believe it’s time to empower the farmers and engage the people.” […] We offer true freshness, less footprint and ultimate quality. That really does look, tastes and smells differently than the products you’ve known until now." As the production starts, De Schilde growing team has announced a growing competition, to challenge the city to grow with them. UF head grower, Ramon Melon: “Nothing can be more local and fresher than the food grown on your own balcony. We want to invite our customers, neighbors and communities to join the Fresh.Revolution., to eat healthy and buy local. Besides, I want to see who can grow better than me!”. People can collect seeds from UF Gastro Partners and joining the competition by posting harvest pictures via the farm’s facebook page. Senay Boztas (2016) Greenhouse in the sky: inside Europe's biggest urban farm. The Guardian Cities. CITIES (2013) Farming the city; food as a tool for today’s urbanization. Trancity. City of The Hague (2016) De Schilde, urban farming. Website Stadslandbouw. Dickson D. Despommier (2009) A Farm on Every Floor. New York Times. George Dvorsky (2015) How Vertical Farming is Revolutionizing the Way We Grow Food. Gizmodo. Jori Lewis (2009) Farming for Apartment-Dwellers. Website Next City. Rebecca Tuhus-Dubrow (2014a) No Sun, No Soil, No Problem: Eat an Indoor Farm Salad. Website Next City. Rebecca Tuhus-Dubrow (2014b) Grow a Mushroom, Get Less Toxic Tomatoes in Your Community Garden? 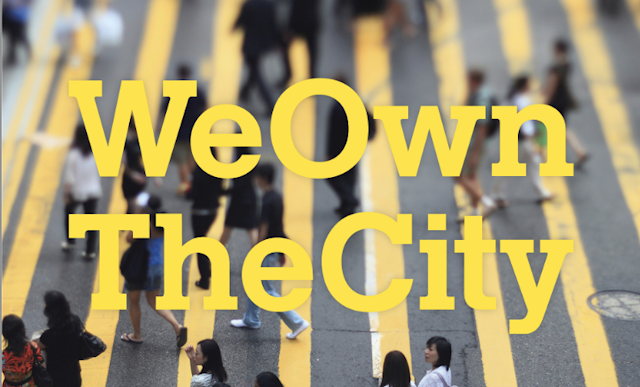 Website Next City. Urban Farmers (2016) UF de Schilde - The "Times Square of Urban Farming"
Urban Farmers (2016) Our Story.